On September 13, 1966, Charles (Chuck) Alexander became the first human to be captured by an aircraft in flight. 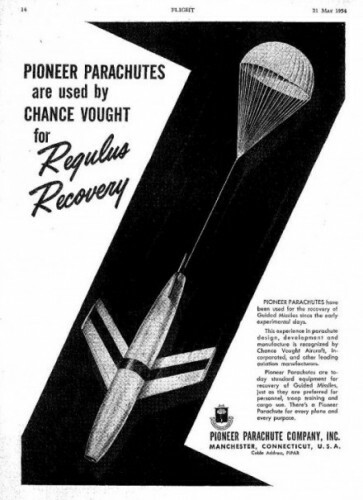 A test parachutist for the Pioneer Parachute Company of Manchester, Connecticut, the 27-year-old was grabbed out of the air by a plane flying 120 miles an hour. The test demonstrated a method to rescue fighter pilots bailing out over the jungles in Vietnam. The technique was also being considered for the recovery of manned Gemini and Apollo space capsules. More than 100 military observers and news reporters watched the air-to-air demonstration at the Sussex County Airport in Georgetown, Delaware. Jumping at an altitude of 8,500 feet from a single-engine Cessna, Alexander fell 1,100 feet a minute as his parachute was snagged by the hook of a C-122 transport plane.